Android games 365 » Puzzle Games » Candy Falls! Candy Falls is an easy yet addictive game, with easy controls. 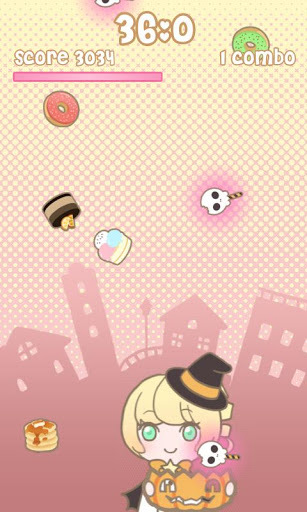 Just tilt your phone to move around and catch falling sweets, candies and cakes. Internet permission is required for online scores and achievements (powered by Scoreloop). Reccomendation: please play the first game with internet connection, so you can correctly display the Scoreloop dialog. ★ Completely ad-free and with more costumes and more different falling sweets than the free version! ★ Time attack mode: you have 60 seconds to get the highest score possible. 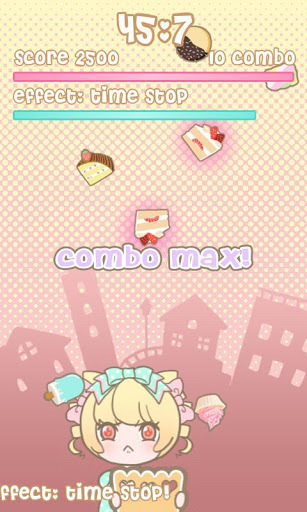 Catch cakes to chain your combo, which multiplies your score. If you get to max combo, you get 10 seconds bonus time! Catch macarons to get funny special effects! ★ Endurance mode: catch all candies falling from the sky, don't miss any. Game is over when you miss 10 items! Try to last the longest and get the most sweets in a row! 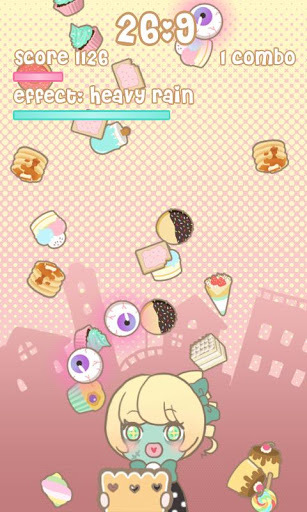 ★ Sequence mode: catch the falling sweets following the sequence shown on screen, dodging the wrong ones. Complete as many sequences you can in 10 attempts. ★ Costume and basket shop: win coins while you play the game, and buy different dresses and baskets to play with!